Porto Playa was awarded the Certificate of Excellence from Trip Advisor in 2016. 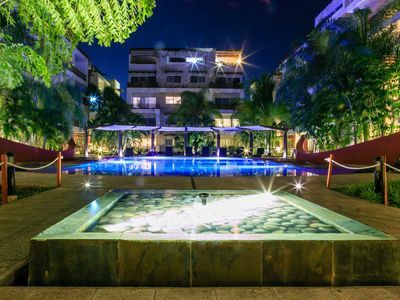 Featuring a tropical architectural influence with 21 luxury units, Porto Playa is set in an oasis reminiscent of a rain forest. 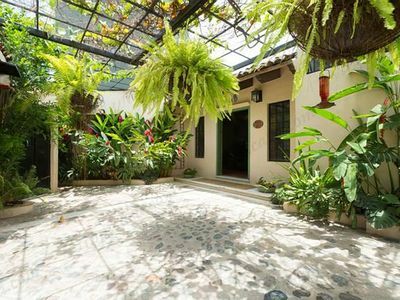 It has a very airy and open design inside a private sanctuary with lush tropical plants and flowers and gushing waterfalls. 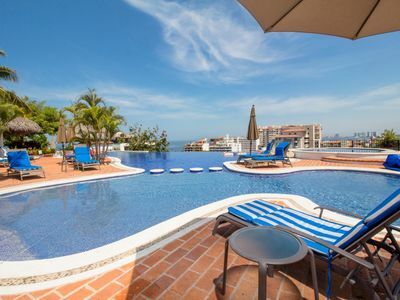 There is even a sun-drenched roof-top swimming pool the length of a city block and a second pool with two separate Jacuzzis. 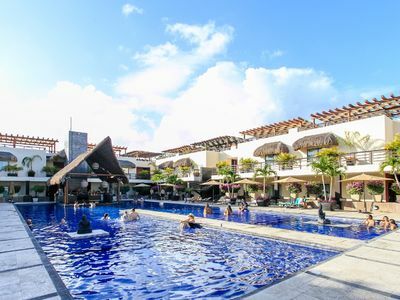 Guests at any of our properties receive complimentary beach chairs at Indigo Beach Club, located at El Taj Ocean, complimentary use of The Gym, located at Porto Playa, complimentary Wi-Fi, daily maid service, 3 full-service restaurants and more. 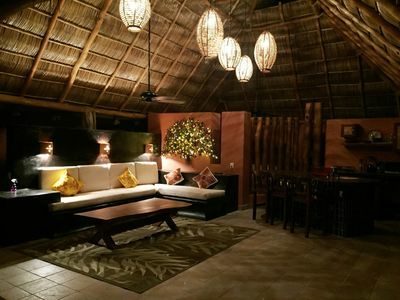 Guests also receive discounts at many restaurants in Playa. Porto Play is located at the corner of First Ave and Calle 16. 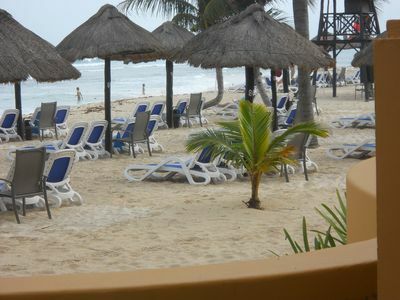 100 steps from the beach and offers complimentary beach chairs and umbrellas at Indigo Beach Club, located at El Taj Ocean 1 block away. 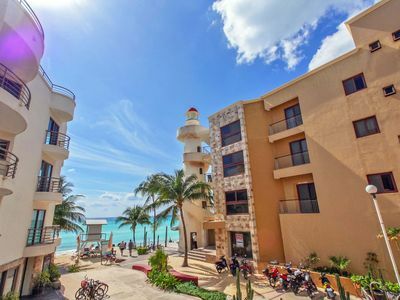 Porto Playa is a boutique condo hotel with 21 condos with numerous amenities including daily maid service, complimentary use of The Gym, (located in Porto Playa), concierge service, spa and more. 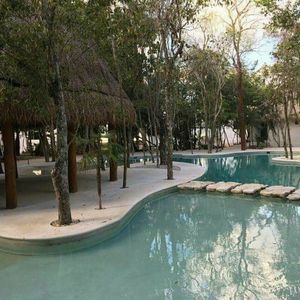 Porto Playa has one of the best pools in Playa del Carmen: an upper and lower 70 foot long pool with waterfalls from the upper pool to the lower pool. Each level has a jacuzzi. 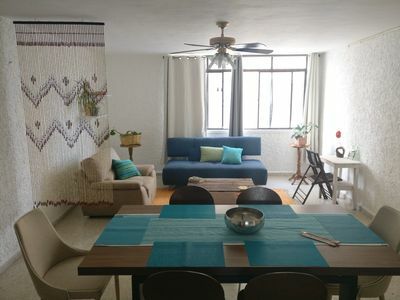 Unit 216 is one of the largest 2 bedroom/2 bathroom condo's on the more desirable second floor with large, private balcony with tables and chairs for your enjoyment. Have coffee in the morning on the balcony overlooking the pools. Great Gulf Breeze and a glimpse of the Gulf Waters. 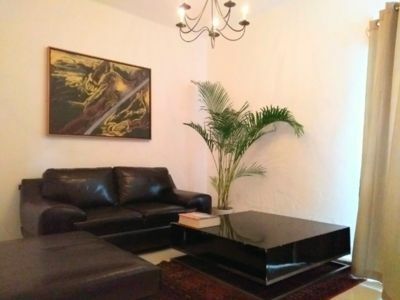 Flat screen Televisions in living room and both bedrooms, Wireless stereo system in living room. Large bathrooms have glassed in showers for two. Marble floors and counter tops. 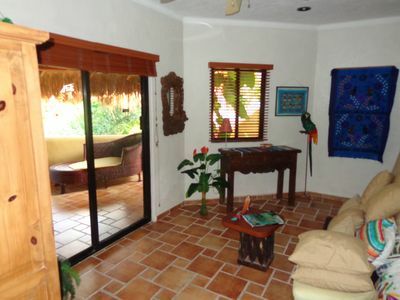 Master bedroom has pillow-top, king-sized bed, and french doors that open to a private balcony. 2nd bedroom can be set up as twin beds or pillow-top, king sized bed. 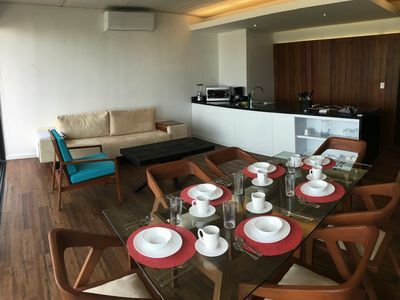 Large private balcony off kitchen and living room. Private balcony off master bedroom. 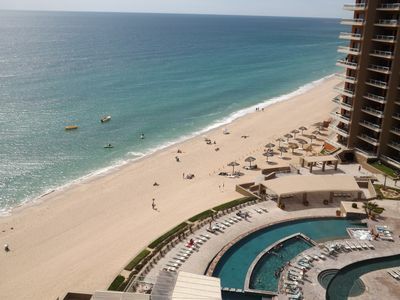 Porto Playa is steps from 5th Ave, and steps from the beach in the Premier Zone. I extend any owners discounts that might be available, please email me. 1. We respond to all emails within hours. 3. We will be honest with you on any and all questions you may have. 4. We are committed to getting you the best rate we possibly can and can. 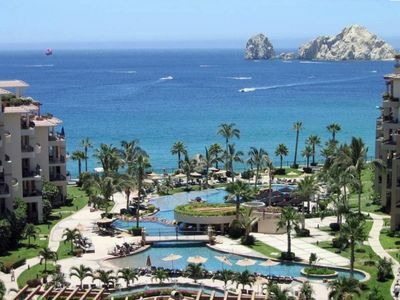 Our goal is for you to have a fabulous experience and come back again. 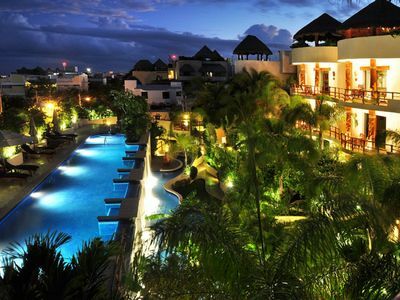 Keywords: Boutique,luxury condo in the Premier zone of Playa del Carmen. 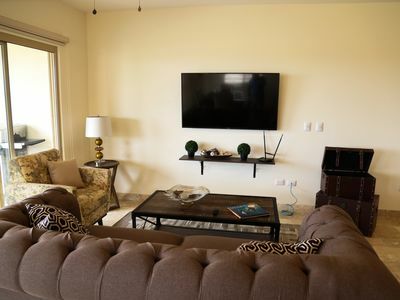 Property has 21 units: 2 bedroom units, 2 and 3 bedroom penthouse units are also available. Perfect location. Great units and pools. 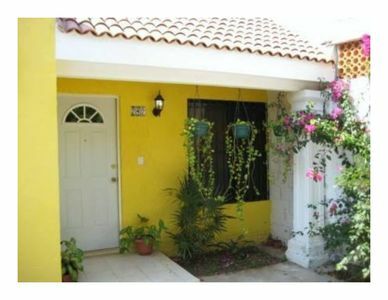 Bright and cheerful 2 bedroom home perfect for visitors to Merida. 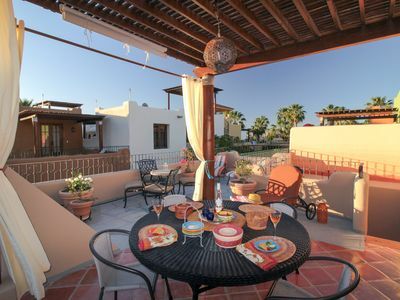 Stunning villa retreat w/ amazing outdoor terrace, grill, & shared pool access! 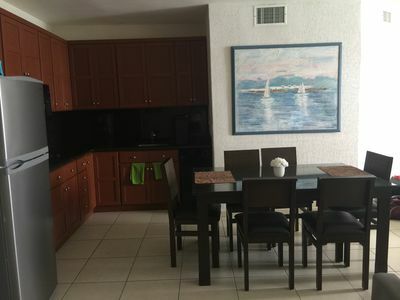 Stunning Ocean Side Condo on 7th Floor!!! 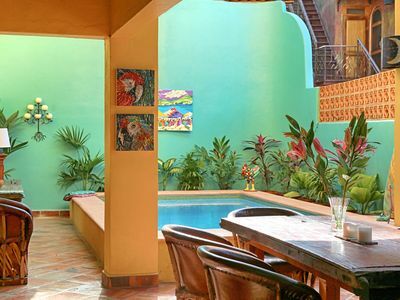 Blue Parrot 3 BR, Loft, 3BA, Pool, Featured on HGTV House Hunters International.